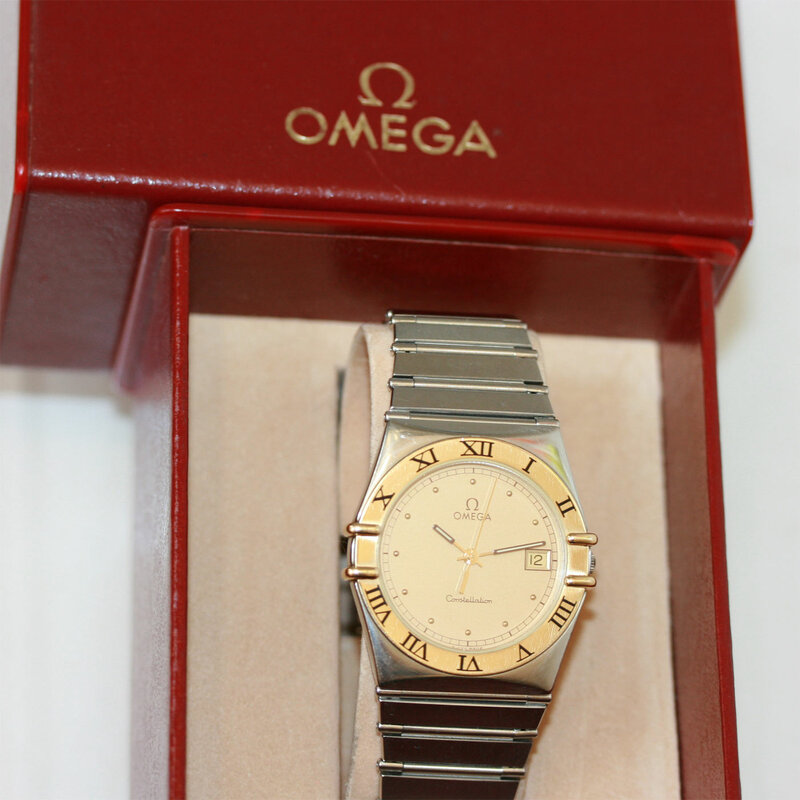 Product code: 487 Categories: Sold Items, Sold Omega Watches. This is the watch to collect! 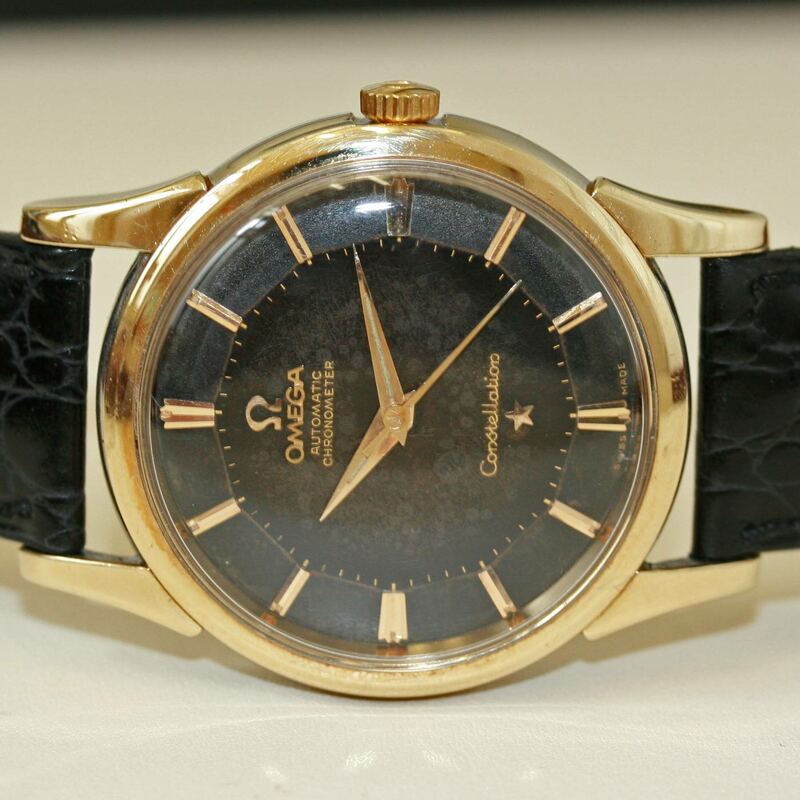 A totally original Omega Constellation with a black pie-pan dial – the most sought after of all the Constellation dials. 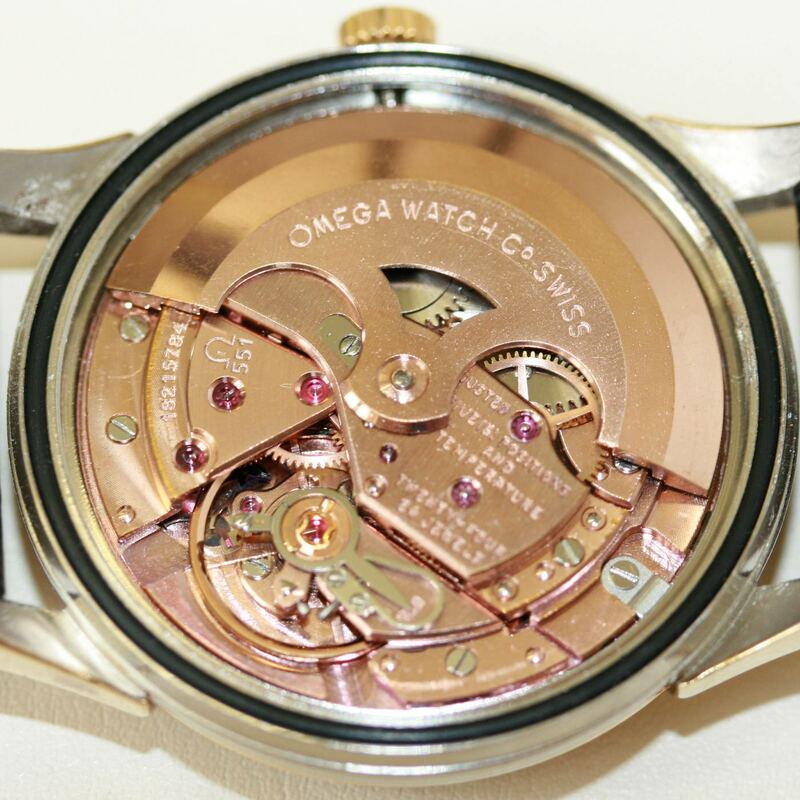 Made in 1961, it has a 24 jewelled Omega automatic movement calibre 551, adjusted to 5 positions, fitted with a micro-regualtor. Needless to say, the watch has been serviced and runs perfectly. 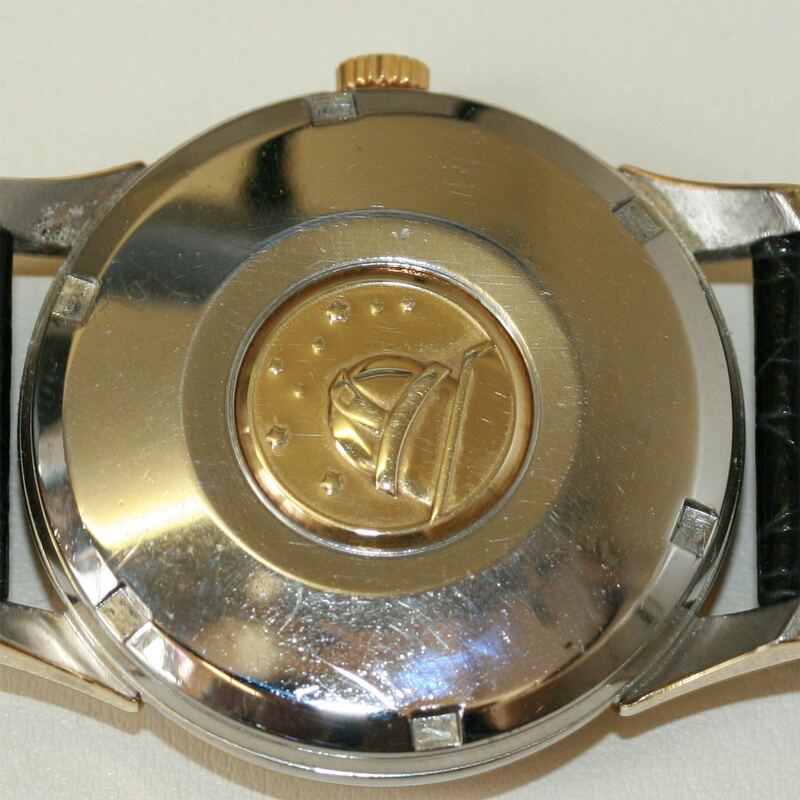 Fitted into a gold capped case that is in great condition, and with an Omega band and buckle (later added) this is the watch to put into your collection. Omega Constellations are getting harder and harder to find that are original and not copies, so to find one like this is a real find. 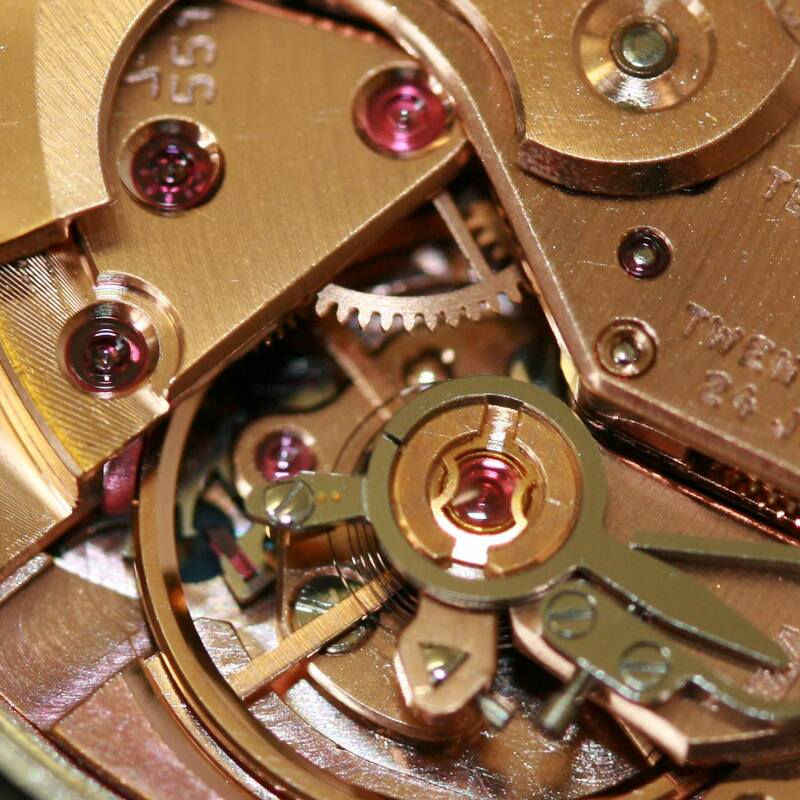 The dial is 100% original and though starting to show its age, being a pie-pan dial, it is so easy to overlook its little blemishes. A true gem of a watch, so don’t miss out on this one. Who knows when another black pie-pan dial will turn up? !